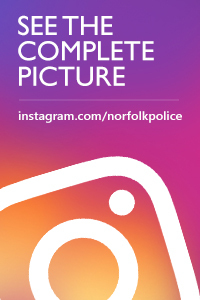 Detectives in Norwich have charged a 23-year-old man with seven offences including robbery and possession of an imitation firearm. Jacques Kiwele, of Sprowston Road, Norwich, is accused of four counts of robbery, assault occasioning actual bodily harm, wounding with intent and possession of an imitation firearm. The charges relate to an incident in Anglia Square and Mill Lane on Saturday 9 February. Kiwele was remanded in police custody to appear at Norwich Magistrates Court this morning (Tuesday 9 April 2019). Detectives from Norwich CID are appealing for further information as they try to establish the circumstances surrounding an incident in Anglia Square in the early hours of this morning. At approximately 4:30am, a group of people in their 20s, were walking along Magdalen Street when they were approached by another man who proceeded to assault two of them with, what appeared to be, an air weapon. Both the men received cuts and bruises to their heads as a result of the attack.